You got through one marathon undertrained, so you probably can get through another without following any program precisely. That being the case, let’s ditch Novice 2 and focus on recovery. If your legs are dead, that signals that you have not replenished your normal levels of glycogen, the fuel for our muscles. 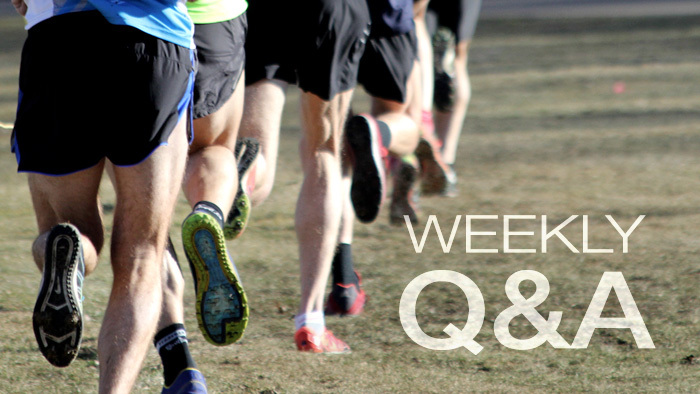 Although most runners replenish glycogen within a week, for some it may take a month. My question back to you is, have you been following a high-carbohydrate diet? Have you been consuming enough calories? If not, you need to focus on complex carbohydrates for all your meals from now and through your next marathon. Next, let’s follow a training regimen over the next several weeks that will allow you to arrive at the starting line well rested. Less sometimes is best. You already have completed a 26-mile workout at Moose’s Tooth, which is a half dozen miles further than the maximum 20-miles of Novice 2. So you don’t need extra miles. I suggest you buzz over to my website and check out my Multiple Marathon training programs. Given the time between Moose and Milwaukee, you could have used the 8-weeks-between program, but it’s too late for that. Either the 6-weeks-between or the 4-weeks-between programs might work best now, even though you may need to modify them since you are starting late. But the most important message is to go to Milwaukee with an open mind and run just to finish, not worrying about time. Who knows? You may surprise yourself.